DuPont is proud to announce its sponsorship of the 2013 Federation of European Union (FEU) Fire Officers Association conference, to be held from the 15th to 19th May at Nottinghamshire Fire & Rescue HQ. With the protection and safety of firefighters at the heart of DuPont, supporting the debate on safety across the EU is vital to continuing to keep people safe. The conference’s principal aim is to enhance fire safety across the EU and provide expertise to European bodies. The key strategies include EU citizen safety, firefighter safety, sharing of good practice, improved crisis management and influence on policy formulation. The conference will be covering a range of topics, including the importance of personal protective equipment for firefighters, with DuPont, Hainsworth and Bristol Uniforms contributing to the debate. At DuPont technical experts and scientists are constantly developing new methods and technology to improve firefighter safety, looking specifically at protection from heat and flame, durability, reducing the risk of heat stress and providing extra seconds of safety when it counts. 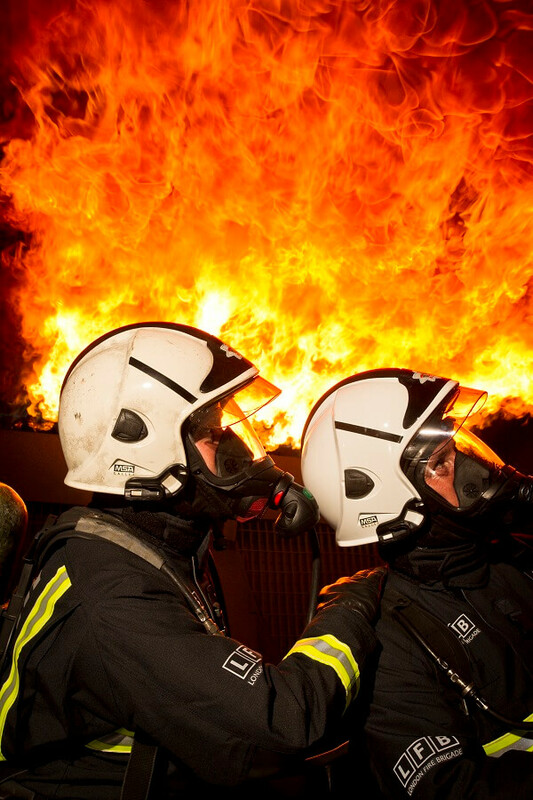 DuPont™ Nomex® fibres are renowned for their flame and heat protection properties and are used in turnout gear for more than three million firefighters around the world. Any garment that incorporates DuPont fibre is put through rigorous testing using the DuPont™ Thermo-Man® manikin to reveal how the garment would perform under a real life flashover fire. It is the only mobile test manikin available for testing and measuring the protective performance of a variety of garments and is the benchmark for all fire protective garments. Fire and rescue services across the UK use fabrics made with the DuPont fibre to protect their firefighters, including London Fire Brigade and Nottinghamshire Fire and Rescue Service. Most recently, after careful research and a rigorous testing period, West Midlands Fire Service chose to use Hainsworth® TITAN fabric that incorporates DuPontTM Nomex® and DuPontTM Kevlar® fibres in their turnout gear to protect their 2,000 men and women firefighters across the county’s 39 community fire stations.